Facebook Group that you create is specifically made for adding members or making a group of people who are interested in your topic. The topic is discussed and shared with other members who can see it on the group feed. Once a person becomes a member he or she can share and add their information in the group. In a group you manage events, converse, message to each other, inform, share, etc. If your group is based on specific topic, then you may think of arranging some events for your members. 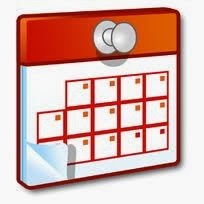 The events need to be scheduled on some dates. For this if you have written or added the events in Google Calendar then that needs to be imported to the Facebook Group. Google Calendar is a online calendar that keeps the record of important events. The dates that you have marked as important for an event in your personal Google Calendar will not be seen in Facebook unless you embed the code of the calendar in to your Facebook Group. The post is regarding the ways or technique to embed or add your Google Calendar to your Facebook Group. Now click "Create New Calendar"
Then search for "Calendar Address" option on the page. You can see 3 buttons with different colors. The code is displayed on the screen. Copy it. Copy the entire line of code. Easy and simple. Now whenever a member from your group clicks on this link then he will get the event details in the calendar. EXACTLY… where is the link tab??? I read a lot about this elusive "Link" tab. Show a photo with an arrow or use proper terminology. Notice lots of Google Calendar graphics (great illustration) BUT no Facebook graphics at all (bad illustration). The Google Calendar Tab app is for PAGES, not GROUPS. The question at had has to do specifically with GROUPS.